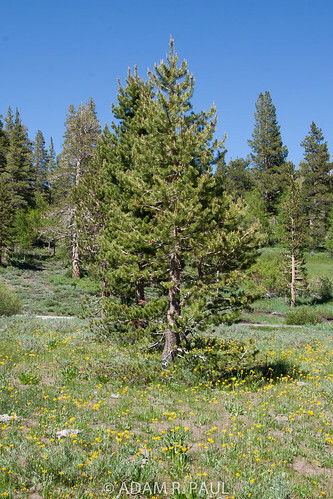 We drove a couple of miles east down Sonora Pass and stopped at Sardine Meadow, intending to walk the mile or so up Sardine Creek to Sardine Falls. 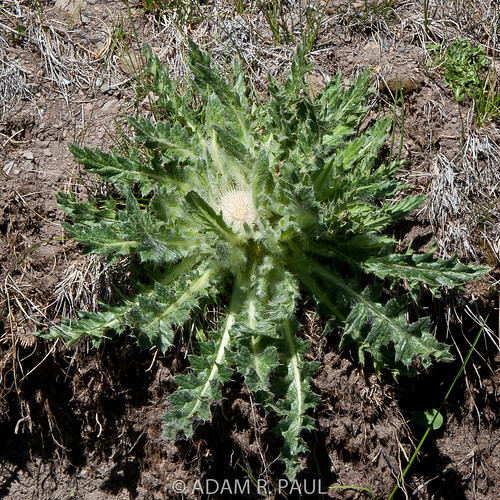 Early spring flowers were going great, including the funky looking Elk Thistle. This thistle, even more than others, looks rather alien-like to me. 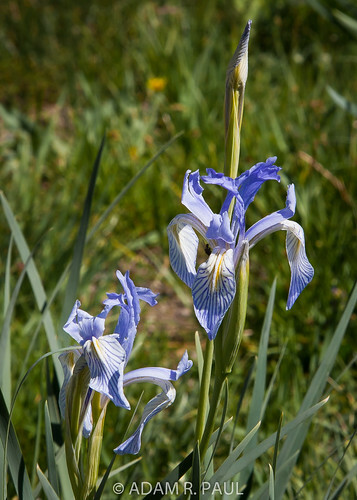 A few patches of Western Blue Flag Irises bloomed, but by and large it was too early for most of them. Come mid-August, the meadow will be a riot of purple and blue. We walked along the creek, following an informal trail which then crossed the creek. This presented a bit of a problem for us, as we were not equipped for a creek crossing and the creek was high and wide enough that there was no way to cross without getting wet. Wouldn’t normally care, but we hadn’t planned for this, and didn’t relish crossing barefoot without poles, so we walked upstream for a ways to see if there was another way across. There wasn’t, so we wandered back toward the car. Asters and Shooting Stars bloomed profusely, and myriad buds hinted at many flowers yet to come. 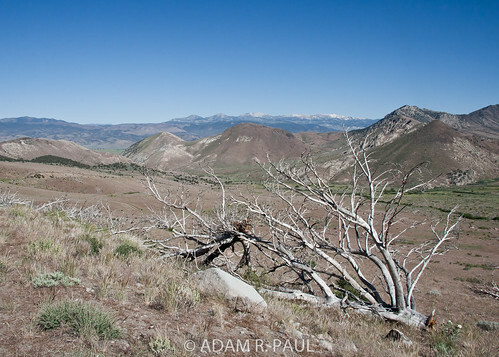 Back at the car, we continued east on Hwy 108 to Leavitt Falls Overlook, an easily-missed turnout that features, in addition to the nice-enough Leavitt Falls, wonderful views over the upper Walker River Valley. 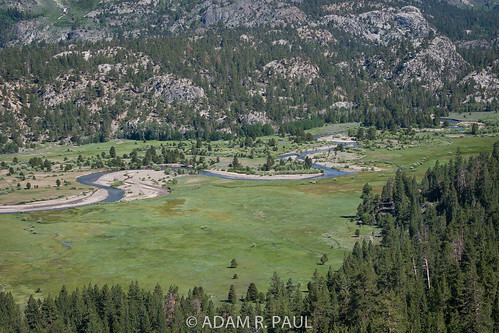 The setting is quite idyllic, with a green meadow, crystal-blue meandering river, and rocky snow-dusted peaks above. We pulled out the camp chairs that happened to be in the car and ate lunch here, overlooking the valley. 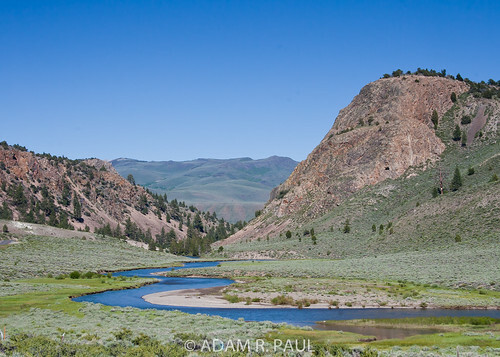 The classic meandering S-curves of the Walker River are always a treat to look at. We walked as close as we could to Leavitt Falls, but there was no vantage the afforded a look that would work in a photo, as the falls were in deep shade, yet the nearby hills in full sun. After about an hour, we continued east. 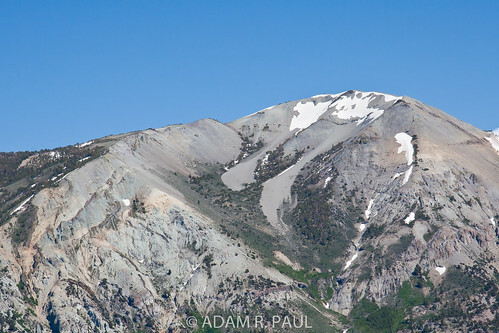 The eastern Sierra drops off much, much more steeply than the western slopes, and we soon passed the US Marine Corps Winter Warfare Center. When hiking in the Sonora Pass area, one sometimes runs across infantrymen practicing their rugged terrain skills. Near the USMC camp the Walker River continues its unhurried meander, and we followed it. 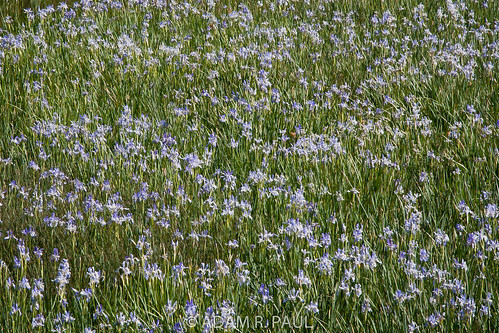 Near the intersection of Hwys 108 and 395, a large’ish patch of irises bloomed, so I stopped to photograph them. Although common locally, it’s not a flower I see very often at all. 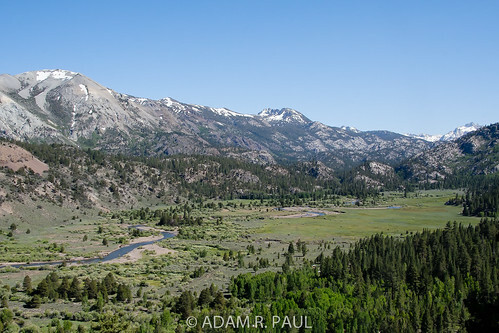 We drove north on Hwy 395, following the now-rushing Walker River, through the hamlet of Walker, turning west on Hwy 89/Monitor Pass. This pass I know very, very well, having bicycled up it 5 times as part of the Death Ride bicycle ride. 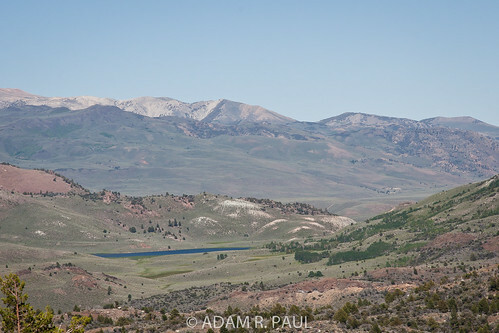 It has a desolate high desert beauty, and wide-open views all the way up its eastern side. The 2010 Death Ride was the next weekend, and I was a little surprised not to see any cyclists here early for training rides. 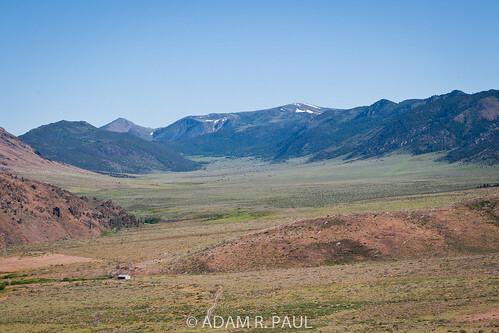 Down the pretty, but less-scenic western side of Monitor, we continued west on Hwy 4/Ebbetts Pass, which I also know well from crawling up it at a snail’s pace, sweat pouring down my eyes. It made me kind of miss doing the Death Ride, difficult though it is, and demanding on one’s time to properly train for it. 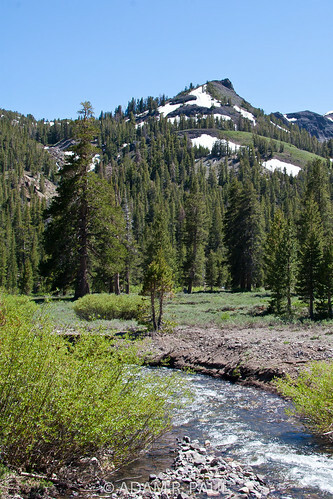 Up and over Ebbett’s Pass, we stopped briefly at Mosquito Lakes, then drove the last 20 miles back to the cabin. This is a long loop at around 200 miles, and it definitely takes all day if you want to soak in the sights, which after all is the point! I like to do this drive at least every couple of years – it’s amazing to see how much the terrain changes in the course of 3 Sierra passes! The scenery in both these posts is incredible. Since I’m in Sacramento, this seems like something I could easily do one of these days. 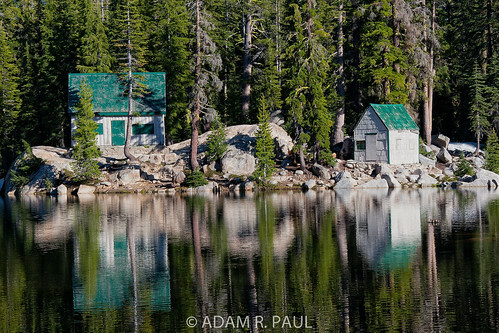 What a great place for you guys to have a cabin! Thanks, Jenna! You sure could do that from Sac. Another nice big loop from Sac would be to head east on 50 to S. Tahoe, over Luther(?) 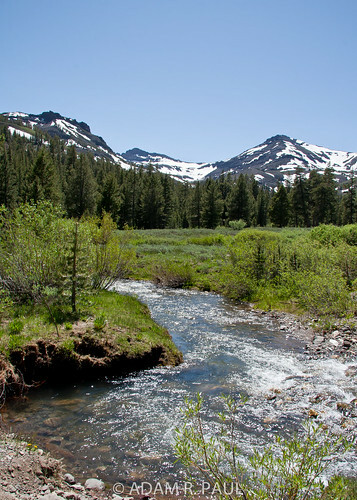 Pass to the Minden/Gardnerville area, south on 395 to 88, and return over Carson Pass on 88 to 49 in Jackson, then north to 50 in Placerville. 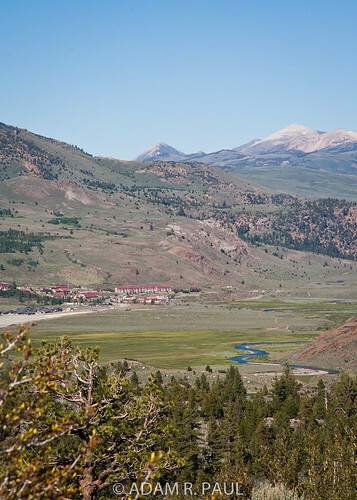 Have you been to Virginia City near Carson City, NV? It’d be a fun day trip too. Nice old-timey silver rush town with some funky stores and a very photogenic, desolate cemetery. Since you have a little one, you should also check out Columbia State Historic Park near Sonora – kids absolutely love it (stagecoach rides, old-timey candy store, sarsparilla, etc). Thanks for the suggestions! Sadly, I don’t know that area very well. We don’t get out of town as much as we’d like to, and when we do, it’s usually to the Bay Area. I have been to Columbia State… but not lately. I’m sure he would love it. You’d better believe Mosquito Lakes! Perhaps early settlers confused trout with Sardines.